“Learning is a gift even when pain is a teacher” ~ Maya Watson. I had to focus on this truism the day after my first class of Kuk Sool Won. My body, unaccustomed to the stretching, kicking, punching and body conditioning exercises demanded in martial arts training was registering its use. It hurt. A lot. The next day, it hurt even more. 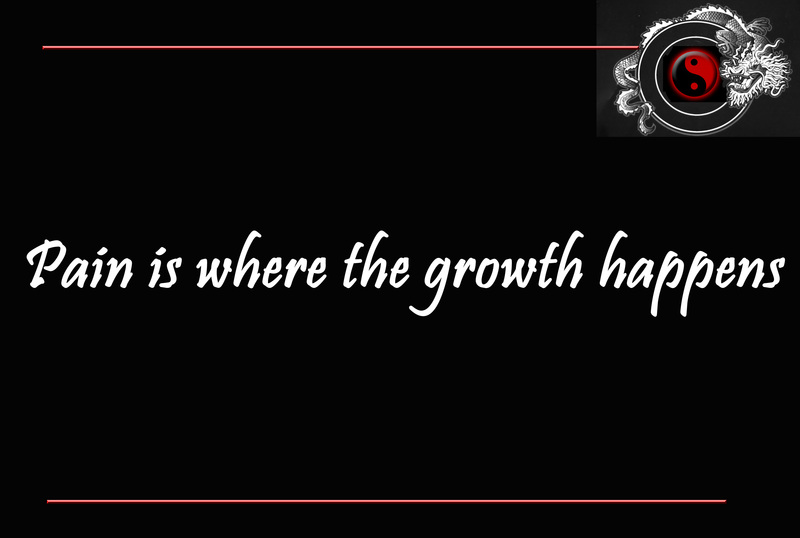 “Pain is where the growth happens” my husband, Robin, reminded me. He should know, he trains for triathlons (you can check out his blog Remarkable Runs). Although my fitness has been steadily improving, doing 50 crunches after all the other exercises took it’s toll. Laughing was not comfortable. I am still however extremely grateful for the privilege of learning this art. The book the Iron Butterfly, The Memoir of a Martial Arts Master tells the story of Choon-Ok Jade Harmon, the highest ranking female Kuk Sool Won Master, with a Ninth-Degree Black Belt. She relates how she had to beg and plead for an extended period to be allowed to start learning Kuk Sool Won. We don’t always value or recognise the opportunities presented to us. I asked our instructor Gyo Sa Nim Sahar about the pain in my hips. She encouraged me to stretch. She said I should expect to feel pain for at least the first few months. My body needed time to adjust to the new movements I was putting it through. She then told me that with daily stretching it would be possible for me to do a full split in 3 months. She also revealed that she got so comfortable doing the splits that she once fell asleep in that position! Wow – now that’s impressive! My kids have also set the splits as a martial arts goal for this year so at least I won’t be alone and it least it won’t be as bad as Master Pai Mei teaching Beatrix the Three Inch punch in Kill Bill Vol 2. Our family doctor, who also enjoys martial arts, and demonstrated some Chen style Tai Chi punches during my last visit, advised me to take it slowly and give my body time to process the changes. He said the workout would be great to relieve my stress and increase my strength though so was very encouraging. So despite my body feeling like it had been sat upon by a rather large elephant – I made it through the second class. I was taught Ki Bohn Soo techniques, the first part of the Ki Cho Hyung forms and also given an explanation of some of the forms and techniques required to progress to the next belt level. “How do you recall all the Korean names?” I asked Rick. “You do them all. Repeatedly.” he responded. “We need more practice” said In Hyuk Suh the founder, Grandmaster and President of the World Kuk Sool Association. I can see that with more practice there will be more pain. There is no pain free path, but when you’re doing something that matters, pain becomes your teacher. As Seth Godin said, all athletes get tired, all of them feel pain. They just have to find a place to put the tired and the pain so that they can accomplish their goals in harmony with it. So from now on whenever I feel the consequences of taking my body into unexplored territory I will use the mantra – Pain is where the growth happens!